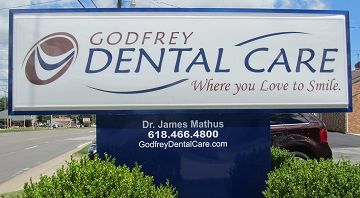 We know you have many choices when choosing a Dentist in Godfrey, IL so we have made requesting an appointment a simple process via our Web site. If, for any reason you cannot keep a scheduled appointment, or will be delayed, please call us as soon as possible. We do not participate in any HMO dental plans. Patients should check with their insurance carrier or call our office if they are unsure of their coverage. Our office is dedicated to helping our patients achieve their dental goals. We accept MasterCard, Visa, and Discover. All necessary insurance forms will be completed and electronically submitted for our patients by our team.